Any person who has spent a significant amount of time sitting at an office desk may be familiar with the toll that poor posture can take on the body. If one does not maintain the proper posture, he or she can experience neck and shoulder pain as well as soreness in the wrists and hands, according to Mayo Clinic. If persistent, improper support can lead to curvature in the spine and disc degeneration. Fortunately, understanding the importance of and maintaining posture habits can help employees avoid musculoskeletal complications. Utilizing an ergonomic workstation that supports good body alignment is key. However, workers must also be aware of the proper way to position their bodies to reap the full benefits of such furnishings. The workspace setup should foster a neutral body positioning that allows for a comfortable posture that eases stress on the muscles and tendons. 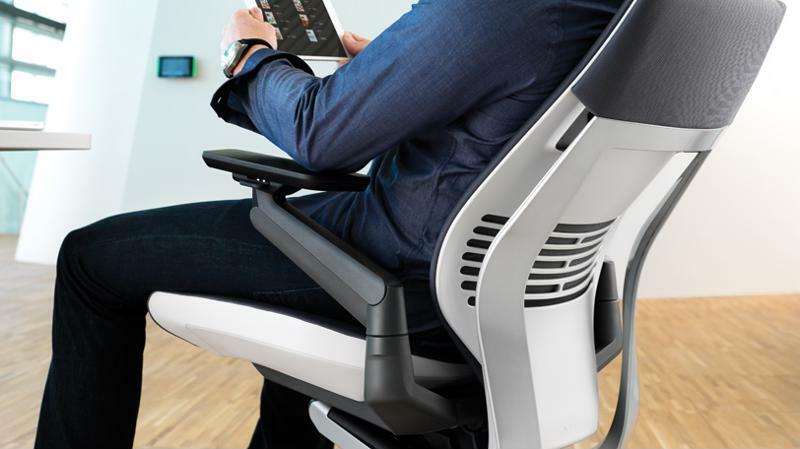 Ergonomic chairs with lumbar support are essential tools in maintaining good posture. OSHA also points out that it is essential to change your posture occasionally. After all, keeping the same position for an extended period of time is bad for the body, no matter how natural and comfortable it feels. Switching up your posture throughout the day can be done easily by making small adjustments to your ergonomic chair or simply getting up and walking around. The Centers for Disease Control and Prevention also emphasizes the positive effects that changing body positioning throughout the day can have on one’s health. In the study “Reducing Occupational Sitting Time and Improving Worker Health,” the CDC found that the sit-to-stand desk provides a plethora of physical and psychosocial benefits, including increased physical activity, improved mood and even higher self esteem. 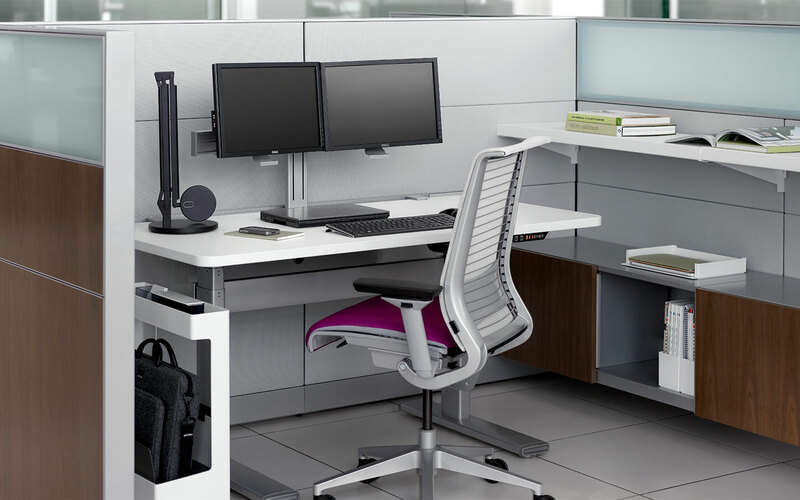 In essence, adjustable height desks may mean better overall health for workers, as well as fostering a happier work environment and greater productivity. 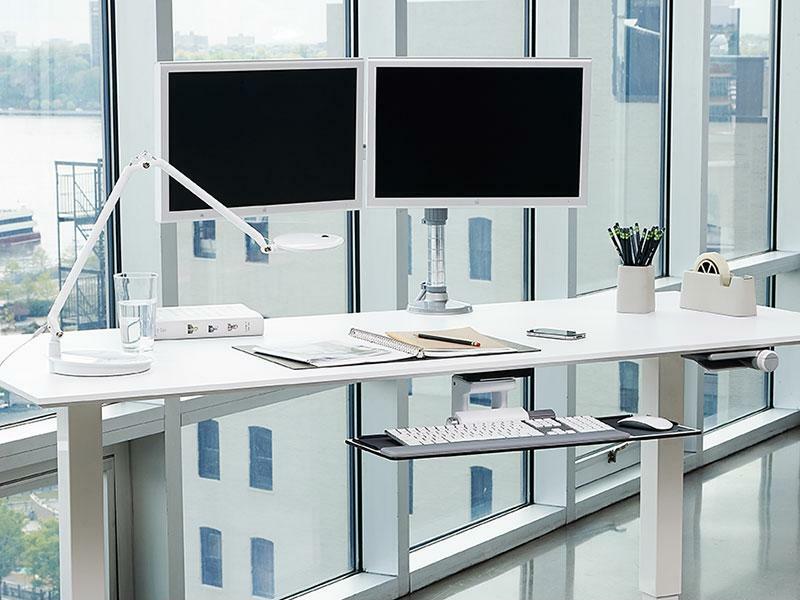 The Humanscale M/Flex multi-monitor arm system can promote good posture in the workplace. 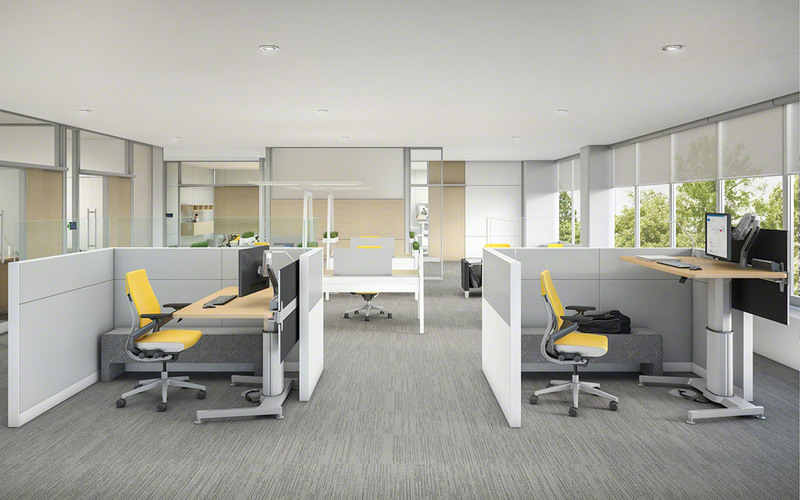 When designing an office space, the planner must keep in mind the comfort and health of the employees. After all, good workspace posture requires ergonomic office furnishings and tools. A height adjustable desk and chair allows the employee to alter the workstation to conform to his or her body, and a footrest may be needed if the feet still cannot reach the ground after seat adjustment. As Mayo Clinic points out, monitor height is also an area of concern – it should be about arm’s length away and the top of the screen should be just below eye level. This may require a monitor adjustment tool such as the Humanscale M/Flex multi-monitor arm system. Additionally, the desk must be deep enough (generally at least 19 inches) to allow space for the monitor and keyboard to sit at optimal distance from the user. 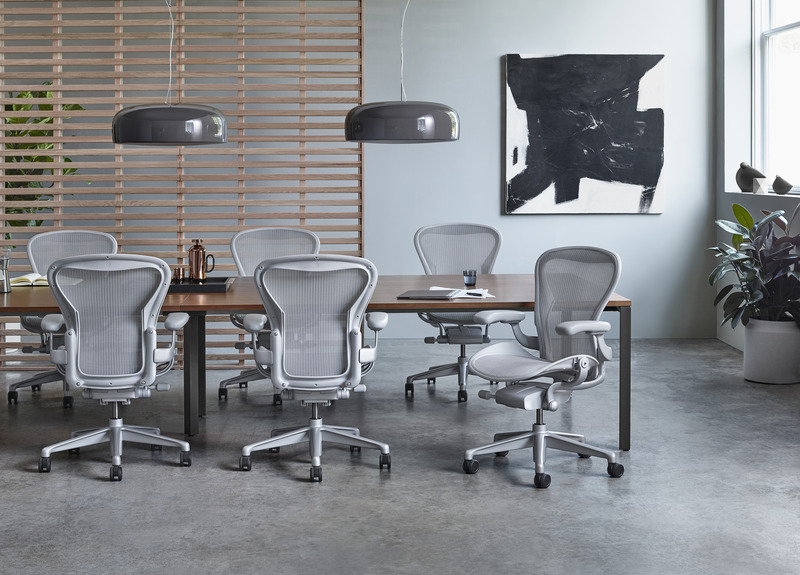 Such solutions, which are available through Office Designs, can help an employee keep a neutral body posture for better health overall and greater productivity in the workplace.